it was more the way Rebellin won his biggest races. ESpecially when in 2004 he was wheelsucking a stronger Boogerd and everytime got past him in the last 150m... I still have trauma's from that. I agree. I loved Boogerds style he rode out in the wind and led up the climbs. Rebellin was a moonshadow in every ride I ever saw him in. Just a little wisp at the end blasting through on the power climbs. A bogus classics rider, like Pozatto, the same mold of negative riding. Don't get me wrong: I'm a huge Boogerd fan. I know how he spiced the finals of AGR, LBL, Lombardia and the harder worlds for a decade. Even won Brabantse pijl, Emilia and 'his AGR'! But as it is, unfortunately got outsprinted several times by slightly stronger riders. flicker wrote: I agree. I loved Boogerds style he rode out in the wind and led up the climbs. there was something special about always seeing those big white teeth coming anxiously short. 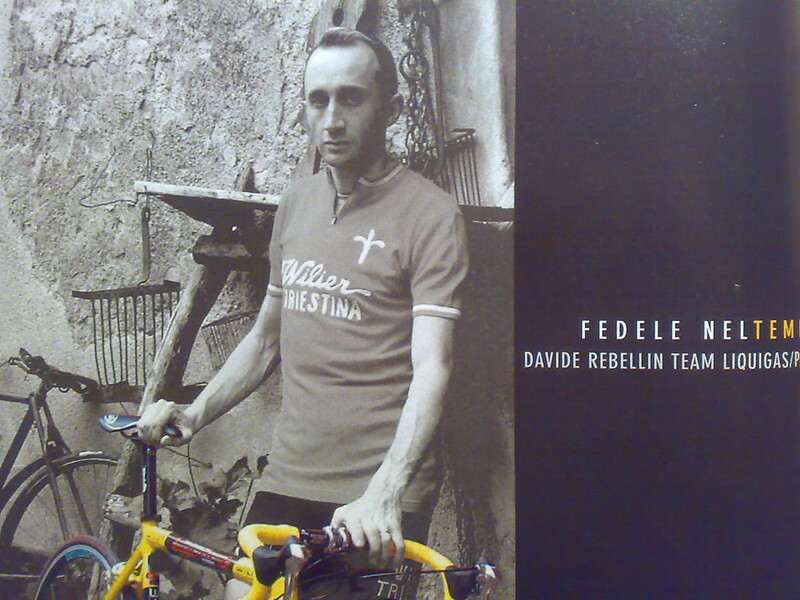 Davide turns 44 today. Showed in Pologne he's still not done. Would be cool if he could win another Italian classic later in the season. Billie wrote: Davide turns 44 today. Showed in Pologne he's still not done. Would be cool if he could win another Italian classic later in the season. Emilia again is possible with the devaluation of that race in the past years. It is, CCC is also invited to Lombardia, but i doubt RCS will let him race it. But if he does, i think he also has a small shot there. Ain't it funny that 10 years after his grande Ardennes triple and piccolo principe's breakthrough, Rebellin still still is the better / more likely classics winner? Cunego has 3 Lombardia's plus the Amstel since his Giro, Rebellin only 2 Fleche's since his tre-bellin? It's a disgrace the way Horner and Rebellin are treated but younger cyclists with the same alleged past are welcomed with open arms. He is far from his records in Huy and thing like that, but Emilia is still a posibility. he has a lot of experience and he didnt race a lot of days in the season, so he is fresh to some races. This man will ride beyond 50, i've read some days ago on his Facebook page that he already started training for next season even if i think he doesn't have a contract signed at the moment. Nirvana wrote: This man will ride beyond 50, i've read some days ago on his Facebook page that he already started training for next season even if i think he doesn't have a contract signed at the moment. By his own admission they guy doesn't have a live outside cycling.